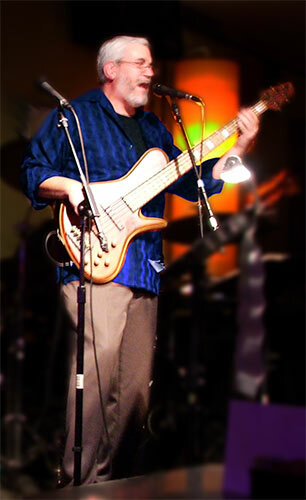 Jim Briggs – Guitarist, singer, songwriter and website design guru. Benavente Guitars – Incredibly talented luthier who built Eric’s SCD Cocobolo Fretted 5 string and SCA Wenge Chambered Fretted 5 String basses. Chris makes basses that are equally functional and beautiful … truly amazing instruments! Tom Clement Basses – Talented luthier who built Eric’s fretless 5 string. Great quality custom basses at extremely reasonable prices. NS Designs – Ned Steinberger’s company that focuses on electric string instruments. Eric currently uses their NXT Electric Double Bass … and greatly enjoys the tone, playability and portability of the instrument. Gallien-Krueger Amplification – While he has tried numerous brands over the years, Eric always seems to find his way back to GK … great tone, reliability and flexibility.